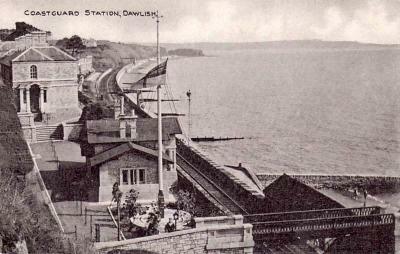 Postcard showing the Coastguard lookout at Dawlish in Devon. 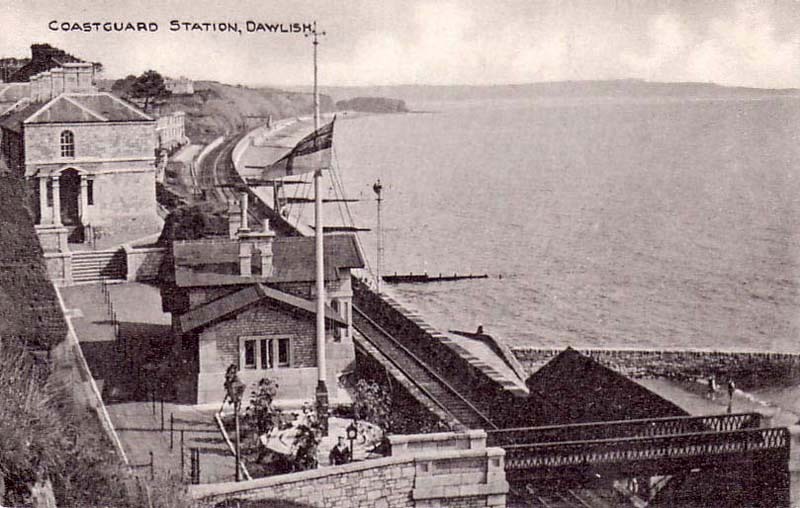 Built in 1868, with the footbridge affording access down to the boatshed (designed by Isambard Kingdom Brunel) on the beach. Today, the lookout is a restaurant café. The footbridge decking and cast iron railings have been replaced but the original bridge piers remain the same..